"May assured us that there will be a backstop, there is no question to remove the backstop because it is necessary to securing the Good Friday agreement," said Verhofstadt. 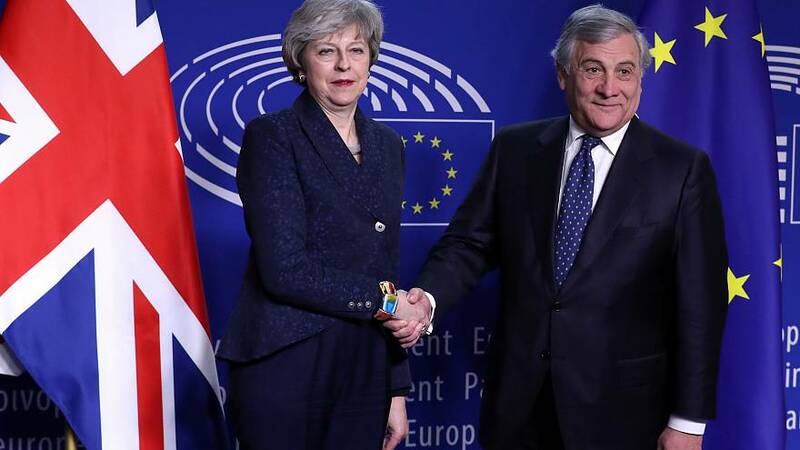 Speaking alongside Verhofstadt, European Parliament President Antonio Tajani reiterated that the parliament only supported the withdrawal agreement negotiated by the EU's Brexit chief negotiator Michel Barnier. "This is the only solution that protects peace in Ireland and the integrity of the internal market," said Tajani, adding that they are committed to revising Ireland's situation if May's red lines changed. Both warned that a no-deal Brexit would be "catastrophic" for both sides with Verhofstadt calling "irresponsible" the British MPs who support a no deal. May was in Brussels on Thursday to ask EU leaders to change the withdrawal agreement she negotiated last year after the British parliament rejected last month.